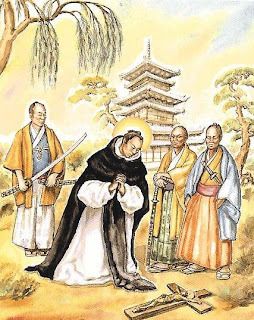 In the previous part of this article, I’ve discussed how much Catholic Christianity progressed throughout the Land of the Rising Sun since its introduction by Francis Xavier in 1549. No doubt, during the next half of the century after the introduction of the gospel into Japan, Christianity grew at such an unprecedented pace that it could soon be effectively considered to be an influential religion with a significant presence alongside Buddhism and Shintoism. 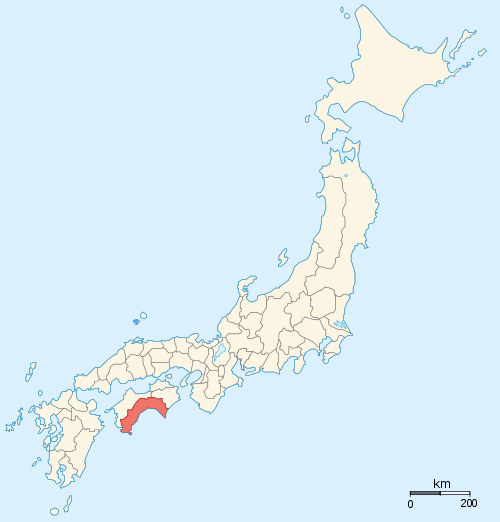 Japanese Christians and churches could be found in almost every province in Japan by the 1630s. Christianity’s growth, however, was not without its share of challenges and difficulties, especially those posed by the central government presiding in Kyoto and later Edo (Tokyo). For the first few years after Toyotomi Hideyoshi’s ascension to power following Oda Nobunaga’s death in 1582, the de facto ruler of Japan was highly tolerant and even supportive of efforts to propagate the gospel throughout the country. Nonetheless, Hideyoshi was very cautious of attempts by European colonialists to conquer Japan. Because Christianity was frequently associated with European powers at that time, Hideyoshi began to perceive the religion as a threat to the stability and sovereignty of his government. He also feared that Japanese Christians might have questionable loyalties to his government and may thus potentially cause unwanted rebellions. All these fears and suspicions culminated in the renowned edict of 1587 that banned Christianity throughout the nation. (If you recall what I wrote earlier in this article, you’d remember that this was the anti-Christian edict of 1587 that I’ve mentioned in Part 3d.) 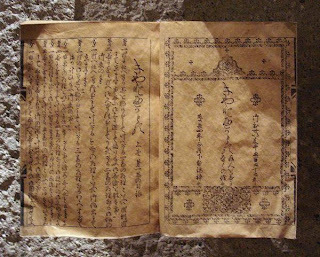 The Order of Expulsion of Jesuit Missionaries (伴天連追放令, Bateren Tsuihō Rei), issued on July 24, 1587, stated that Christianity was to be banned throughout Japan, Japanese Christians were to renounce their religion and Jesuit missionaries were to be expelled out of the country. Additionally, Hideyoshi also placed the port-city of Nagasaki under the direct control of his central government, since the city’s population was almost entirely Christian and the city was the main centre of Jesuit activity. 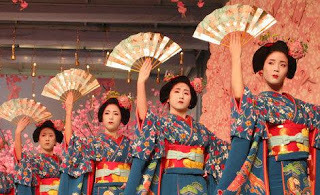 Despite all these, the edict was never implemented strictly, subsequently permitting many missionaries to still remain in Japan secretly while carrying out their activities carefully so as not to attract too much attention. The turning point that brought the first great disaster upon Christianity in Japan was the San Felipe Incident (サンフェリプ号事件, San Feripe-gō Jiken) that occurred in December 1596. Basically, what happened was that the San Felipe, a Spanish ship from Manila, Philippines bound for Acapulco, Mexico, became shipwrecked and stranded on the coast of Tosa Province (土佐国, Tosa-kuni) on the island of Shikoku (四国). Hideyoshi, knowing about the matter, then ordered the ship to be plundered and the goods divided between himself and the daimyo of Tosa Province. The ship’s captain then made his way to Hideyoshi’s court to request for compensation. It was said that in order to ensure that he got what he wanted, the captain boasted to Hideyoshi that there was always a certain sequence by which European powers like Spain would follow before conquering a country. Firstly, the missionaries would come and expand Christianity; secondly, the traders would come and establish commercial relations and lastly, the army would come and conquer the country. The words of the captain undoubtedly alarmed Hideyoshi and his subordinates. 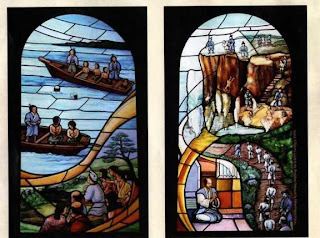 Since Christianity was growing rapidly throughout Japan and missionaries enjoyed much freedom in propagating the gospel, Hideyoshi feared that these might be precedents to Japan falling into the hands of colonial powers. As a result, the ruler beefed up his anti-Christian campaigns and succeeded in arresting 6 European Franciscan missionaries, 3 Japanese Jesuit missionaries and 17 Japanese Christians including three young boys in Kyoto and Osaka. They were convicted for propagating the gospel and were consequently imprisoned before being sentenced to execution. Prior to their execution, they were paraded through the streets of Kyoto, Osaka and Sakai before being marched through thick snow to Nagasaki. 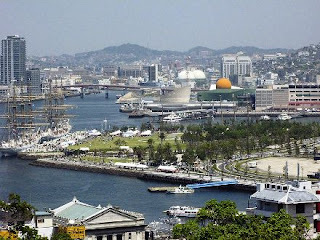 Indeed, Hideyoshi had selected Nagasaki as the place of execution due to the large Christian population dwelling there. He intended the execution to be conducted publicly so as to act as a deterrent to discourage the Christians and persuade them to abandon their religion. Thus, it was atop Nishizaka Hill (西坂の丘, Nishizaka no Oka) in Nagasaki, on February 5, 1597, that the first major incident of persecution against Christianity occurred in the Land of the Rising Sun. The Twenty-six Martyrs of Japan (日本二十六聖人, Nihon Nijūroku Seijin) were martyred by crucifixion and being lanced to death before a large crowd under the orders of Toyotomi Hideyoshi. After Hideyoshi’s death in 1598, persecution campaigns against Christians died down and Christianity could once again grow. Churches and seminaries which were destroyed under Hideyoshi could once again be restored and reestablished, while missionaries could once again return to Japan to continue propagating the gospel without much harassment. Even when Tokugawa Ieyasu became the Shogun of Japan in 1603, he permitted missionaries to continue spreading the gospel without much hindrance, mainly because he wanted to appease foreign powers such as Portugal and Spain to continue trading with Japan. 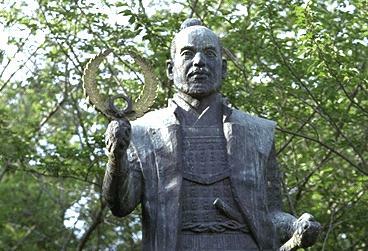 Nonetheless, like Hideyoshi, his predecessor, Ieyasu was suspicious of the presence of foreigners in Japan, fearing that this might lead to the conquest of the entire country under European colonialists. The year 1614 marked the beginning of one of the worst and most severe persecutions against Christianity in the entire history of mankind. Indeed, in calling this one of the worst persecutions, I’m alluding not only to the number of martyrs created during this era, but also to the various draconian methods applied to torture and execute them. It was in this year that Shogun Tokugawa Hidetada (徳川秀忠) (1579 – 1632) issued the Christian Expulsion Edict. The edict, which was signed by his father and the de facto ruler of Japan, Tokugawa Ieyasu, accused Christians of engaging in rebellious acts, causing chaos in society, corrupting goodness and polluting the truth, amongst others. Unlike Hideyoshi’s anti-Christian edict issued in 1587, the Tokugawa Shogunate’s Christian Expulsion Edict was implemented with great severity and vigour. The outcomes of its implementation were almost immediate and severe. In just a short span of time, churches and Catholic monasteries throughout the land were ruthlessly destroyed and missionaries were actively deported out of Japan. Rigorous steps were also taken to compel missionaries, daimyos and their families to renounce the Christian faith or risk being deported to Macao or Manila. As for commoners who embraced the faith, they were forced to renounce under numerous threats and tortures which frequently ended with executions. As a result, an estimated 6000 Christians were executed in the early 1600s, most of whom were commoners and traders from Kyushu who remained true to their faith till the very end. The ascension of Tokugawa Iemitsu (徳川家光) (1604 – 1651), Hidetada’s son, to the seat of the Shogun did nothing to relieve the sufferings that Christians were already facing. Rather, his ascension was the start to more Christians being imprisoned, executed or sent into exile. Many Christians were harassed daily by officials from the Tokugawa Shogunate and were forced to abandon their faith under immense threats and torture. Many who refused to give in to the officials were either tortured to death or managed to flee from their homes and hid elsewhere. There was undoubtedly mayhem in many parts of Japan, especially in areas with large Christian populations, in which not one day passed without blood and tears being shed for the sake of maintaining the Christian faith. No doubt, words simply cannot describe the pain, torture and sufferings that many Christians of the era went through in the name of Christ. In order to detect and capture Christians, the Tokugawa Shogunate implemented many elaborate systems throughout the country. One of these was the five-family group system, also known as gonin-gumi (五人組). In this system, families within a locality were divided into groups, in which each group comprises five families. Each group of five families was collectively responsible to ensure that none in the group professed the Christian faith. Should a member of a five-family group accuse someone from within the group of professing the Christian faith, only the family of the accused would be executed, while the other four families would be spared. Nevertheless, if the accusation came from someone of another group, all five families belonging to the accused’s group would be executed. 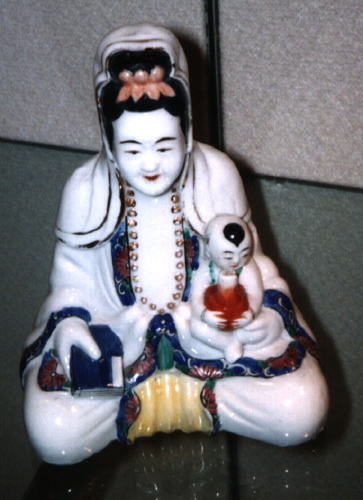 Another system introduced by the Tokugawa Shogunate was the temple guarantee system, also known as terauke seido (寺請制度) or danka seido (檀家制度). This system stipulates that everyone was compelled to be affiliated with a Buddhist temple, in which participation in Buddhist rites and activities was mandatory. In return, Buddhist temples would issue certificates of affiliation, which must be presented to officials from the Shogunate as proof that a person was not an adherent of Christianity. Nonetheless, perhaps the most famous method of detecting Christians implemented by the Tokugawa Shogunate was the fumie (踏み絵) method. 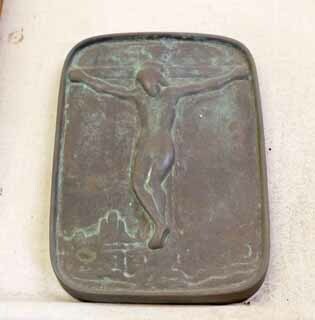 In this method of psychological torture, government officials would produce fumie, or pictures of Jesus Christ and Virgin Mary, and everyone was required to step over these pictures to prove that they were not Christians. It was a requirement for everyone to repeat this process annually, even after abandoning the Christian faith, so as to prevent a relapse. Upon being caught, Christians were subjected to immense torture, threats and execution. A variety of methods were applied to force them to renounce their faith. In the first few years after the proclamation of the anti-Christian edict in 1614, methods used were relatively simpler, such as crucifixion, beheading and burning at the stake. Nonetheless, such methods did little to instill fear in the hearts of Christians, but instead stirred up their faith and even attracted admiration from non-Christians because of the strong spirit that the executed Christians displayed at the face of death. As a result, more elaborate methods were invented to prolong the condemned’s suffering and ensure a slow but sure death. Examples of the more complicated forms of torture and execution include placing heavy stones on one’s legs, stamping one with hot irons, boiling one alive in hot springs and inserting needles into one’s fingernails, amongst others. A particularly severe form of torture commonly applied to force Christians to renounce their faith was known as the reverse hanging method or tsurushi (釣殺し). In this method of torture, a person would be hung upside down with his/her feet bound with a rope. The person would be inserted into a dark pit in the ground filled with dirt at the bottom, with the body bound tightly with ropes to prevent the person’s bowels from spilling over. A cut or a small hole would also be made on the forehead or behind the person’s ear to allow blood to slowly drip out drop by drop so as to lower the blood pressure around the head. This would cause the person to suffer unbearable physical and psychological torture, often leading to an agonizing death. Despite all the immensely agonizing and traumatizing modes of torture applied by the Tokugawa Shogunate, many Christians still refused to recant. Some died during the course of their torture while others survived, only to be sent to their final execution. 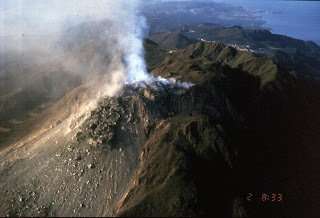 Most of those who survived their torture and refused to renounce their faith were ultimately sent to Mount Unzen (雲仙岳, Unzen-dake), a volcano in Nagasaki, where they were tossed into the burning lava and thus suffered a fiery death. Even the fearsome daimyo of Oshu and Sendai, Date Masamune, had a change in attitude towards Christianity. 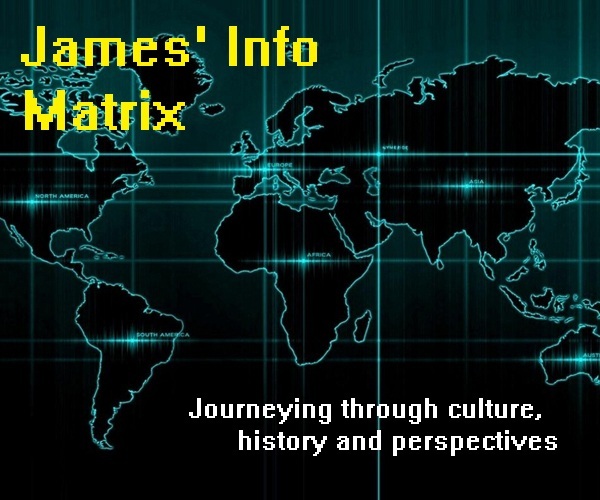 If you recall what I wrote in the previous parts of this article, you would remember that Date Masamune was highly supportive of efforts to propagate the gospel throughout his domain in northern Japan. Nonetheless, after Hasekura Tsunenaga’s return from Europe in 1620, Masamune’s policies towards Christianity turned for the worse, whereby the great daimyo stopped protecting the Christians under him and started persecutions against them. Although the real reason behind his change of heart is generally unknown, it is speculated that there were two main reasons: firstly, Hasekura’s reports about the greatness of the European kingdoms could have aroused the daimyo’s fears that those European powers might attempt to colonize Japan and secondly, the daimyo was under mounting pressure from the central government of the Tokugawa Shogunate to take stern measures against Christians. As anti-Christian measures were beefed up all over Japan, Japanese Christians and Catholic missionaries did all they could to preserve their faith and resist to the very end. All these ultimately culminated with a renowned incident in Japanese Christian history known as the Shimabara Rebellion (島原の乱, Shimabara no Ran), which occurred in 1637 in Shimabara and Amakusa, domains which were formerly under the Christian daimyos Arima Harunobu and Konishi Yukinaga. 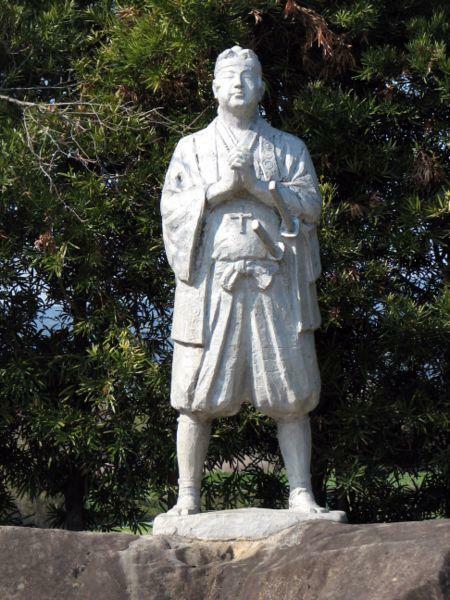 Led by 16-year-old Amakusa Shiro (天草四郎) (1621 – 1638), the Shimabara Rebellion broke out as a result of heavy taxes imposed by the new daimyo of Shimabara, Matsukura Shigemasa (松倉重政) (1574 – 1630), as well as incessant cruelty against the large Christian population in the region. 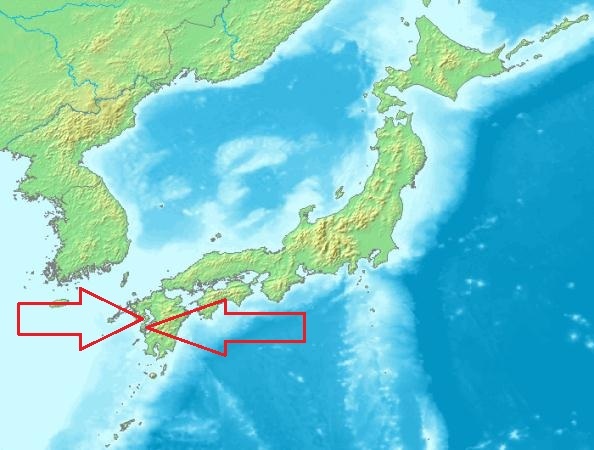 Mounting anger against such harsh treatment finally resulted in a large-scale rebellion consisting of over 30,000 Japanese Christians, mostly peasants. Nevertheless, the 125,000-strong army sent by the Tokugawa Shogunate managed to mercilessly wipe out almost the entire Christian population involved in the rebellion. Very few survivors remained, if any, as those who actually survived were almost immediately beheaded, including Amakusa Shiro himself. Doubtless to say, the Shimabara Rebellion marked the final downfall of Christianity in Japan during the era. In light of the massive rebellion participated by Japanese Christians, Shogun Tokugawa Iemitsu enacted, implemented and strictly enforced his renowned “locked-country policy” or Sakoku (鎖国) policy, which was Japan’s national seclusion policy that was fully established by 1639. Under this policy, Japan shut itself from the rest of the world, permitting no foreigner to enter the country or any Japanese to leave the country. Offences under this policy were instantly punishable by death. This strict policy permitted the Japanese to conduct restricted amounts of trade only with the Dutch, Chinese and Koreans in the port-city of Nagasaki. With the strict implementation of the Sakoku policy, Christianity in Japan could only survive underground, in which many Christian practices were conducted in absolute secrecy. Countless lives were lost for the name of Christ from 1597 to 1639, after which those Japanese Christians who survived were driven underground and subsequently became known as Hidden Christians (隠れキリシタン, Kakure Kirishitan). Over the years that followed, ruthless persecutions against Christians continued, making it all the more difficult for Christianity to be practiced openly. With Bibles and religious literature destroyed by the Tokugawa Shogunate, the Hidden Christians had no choice but to rely on oral tradition to maintain their faith from one generation to another. Despite the fact that Christianity experienced tremendous success for the first few decades after its introduction into Japan, it also faced a rapid decline after the establishment of the Tokugawa Shogunate. Indeed, the implementation of the Sakoku policy in 1639 spelled ultimate disaster for the position of Christianity in the Land of the Rising Sun. 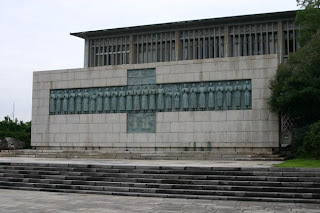 Government-backed persecutions occurred ceaselessly, ensuring that Christianity was constantly suppressed and attempting to totally annihilate the religion from Japanese soil. No doubt, it was only in 1873 when anti-Christian persecutions formally ceased with the lifting of the ban on Christianity by the Meiji Government (明治政府, Meiji Seifu). Nonetheless, it was not until the enactment of the Meiji Constitution (明治憲法, Meiji Kenpō) in 1889 that all lawful persecution against Christianity was abolished and Christianity was given due recognition alongside Buddhism and Shintoism.